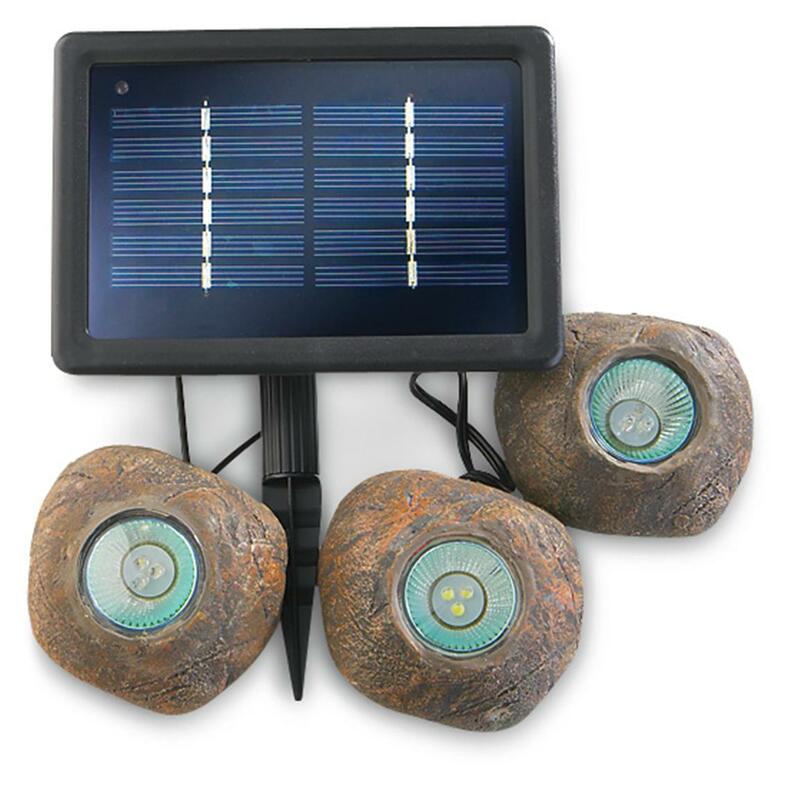 Set of 3 Solar Rock Lights brighten gardens, water features and landscaping, all with no wiring to install! SAVE BIG ! The simple way to add beauty to outdoor landscaping! Easy-install Solar Rock Lights are a fast, easy way to give shimmer, glimmer and glow to your yard. 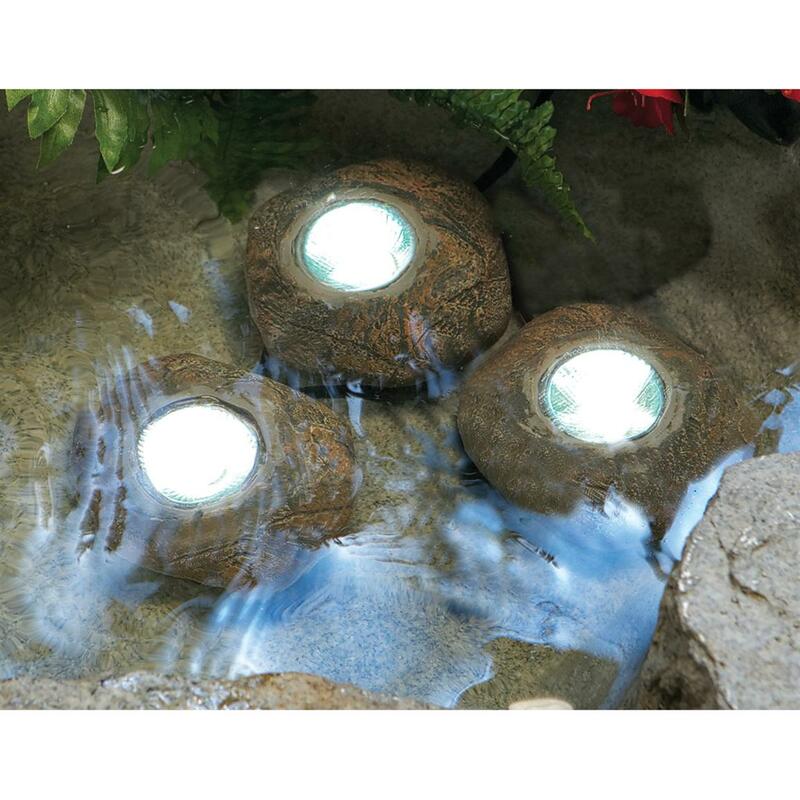 Waterproof Lights can be used in or out of ponds and water features to cast a soft illumination anywhere you'd like it. Outside the water, light up your favorite plants, sculptures and other outdoor aspects. 34" of lightweight cord between lights allows for maximum flexibility in placement. Best of all, these Lights use clean, "green" and FREE solar energy... so there's no wiring to install and no jumped-up power bill to pay! Each "rock" measures 4 x 3 1 / 4 x 2 3 / 4 "h. Kit weighs 5 lbs. 13 ozs. These Lights just plain ROCK! Order yours ONLINE now!